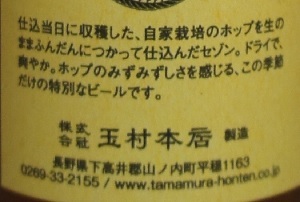 Brewer Description: See picture below since the description is in Japanese. Intro: A 330ml bottle, bottled in September 2016, poured into a d’Achouffe tulip glass. Appearance: It poured a slightly hazy golden orange amber colour with a slightly less than two finger off white head that dissipated over a minute but left some nice lacing. Aroma: Biscuit malt, tropical peach and apricot, bubblegum, lemon tea and some mild funk. Taste: Sweet peach/lemon tea, tangy, bubblegum, pine, grass, mint with a touch of spiciness and light bitterness on the finish. 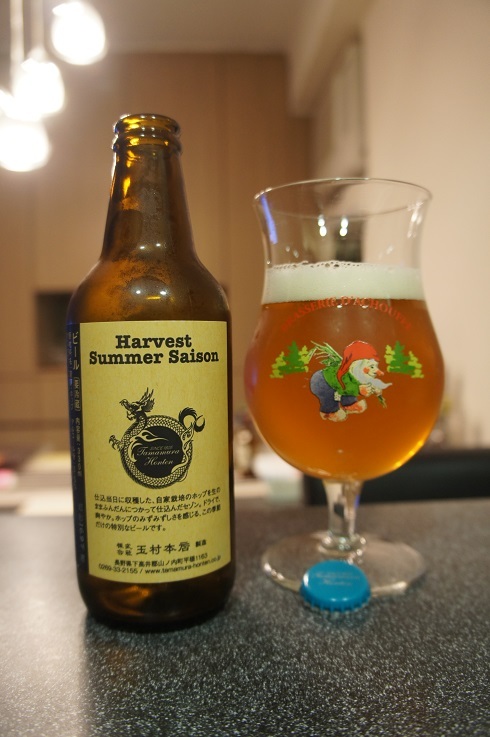 Overall: It’s not what I was expecting, but it’s ok. Perhaps a bit too sweet for me, in that I definitely can’t have more than one bottle at a time (and in fact probably even prefer to share a bottle). 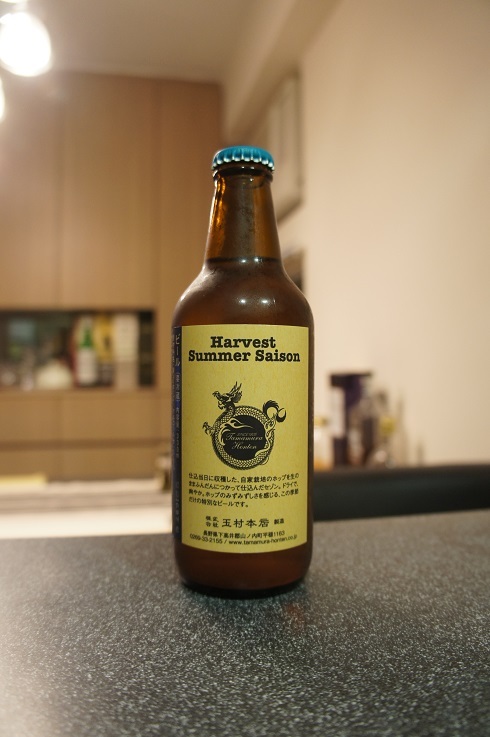 Having said that, it would definitely be a refreshing beer during a hot summer.